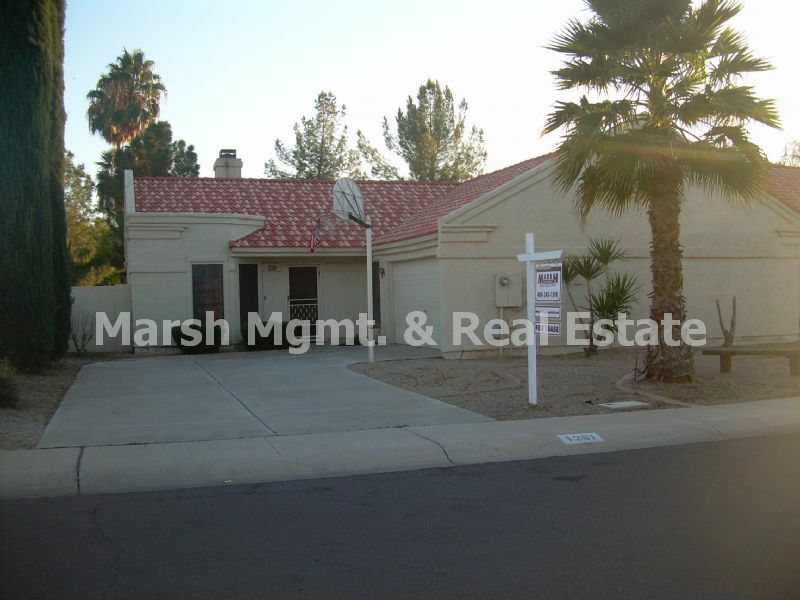 Residential Rental Listing 3 bed 2 bath in Gilbert, AZ. Val Vista/Elliot~North to Juniper, west to Quartz, south to Laurel and west to home. Great floor plan with a large great-room, kitchen has lots of counter space, lots of tile, all bedrooms are a nice size with walk-in closets, fireplace, patio, desert landscaping, 2 car garage & community pool. Great area just minutes from San Tan Village with lots of shopping areas, restaurants & more. Easy freeway access. Tenants may use the washer, dryer & fridge, however no repairs/replacement will be made to them. No smoking please. Sales tax will apply to monthly rent. Security deposit will equal at least one month's rent. Tenants must provide proof on Renter's Insurance prior to moving in. Please call regarding pets. Please refer to Policies on Renting for important information.